Most of my films have been shot on Super8, then transferred to video and edited on a computer, with soundtracks also being added on a computer. Below is a list of most of my short films. Click on linked titles to watch the film. 2000 - "From At To With", three minute B&W Super8 film. Do you ever feel like everyone's laughing at you? Pointing at you? Mocking you? Are you just being paranoid? Maybe you're insane. Step into my office. Entered in White Gloves Film Festival 2000, and Cinema Sprints 2001. 1999 - "The King is Dead, Long Live the King", three minute B&W Super8 film. The king is dead, or is he? Something hypnotic is calling from beyond the grave. Entered in White Gloves Film Festival '99 and received into the Best-of collection. Also screened as part of Cinema Sprints 2000. 1998 - "Veil", three minute B&W Super8 film. Weddings seem like a great idea at the time. Future and past entwine to show that history has a way of repeating itself, tragically. Entered in White Gloves Film Festival '98 and received into the Best-of collection. 1997 - "Stop Watch", four minute colour Super8 film. He was waiting for a sign, but when time stood still he didn't even notice. Accepted into the Metro Super 8 Film Festival '97. 1997 - "The Purse-Uit", three minute B&W Super8 film. A good deed gone wrong. Also "The Making of the Purse-Uit", a spoof on the making of the previous film. Both entered in White Gloves Film Festival '97 and received into the Best-of collection. Wrote music to accompany the Best-of screening. 1997 - "The Blue Brothers", five minute colour S-VHS video. A spoof of the Blues Brothers, done with smurfs and matchbox cars. 1996 - "Always...", three minute B&W Super8 film. Coca-Cola bottles start attacking people and take over the world, a short B-grade horror with a message. Entered in White Gloves Film Festival '96 and received into the Best-of collection. 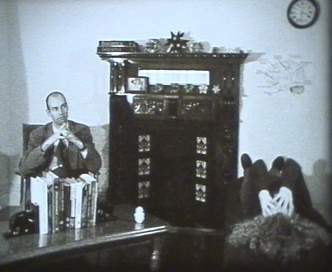 This film also won the ABC Recovery's Cinema Amateur competition in 1997. Appeared as part of the 360 FliX programme at RMIT's Kaleide theatre 11/8/97, and as part of the art exhibition Poll at the GOGO Heirdressing art gallery, Northcote, 6/4/97 - 2/5/97. 1989 - "Are We Inbred? (Toasterqatsi)", three minute colour Super8 film. A surreal look at bread, toast, toasters, and of course life and death. Screened as part of the art exhibition Poll at the GOGO Hairdressing art gallery, Northcote, 6/4/97 - 2/5/97. Return to Robert Webb's home page.